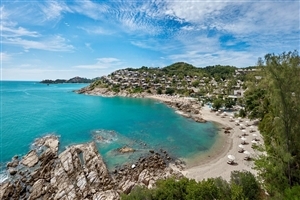 Settled alongside the beauty and splendour of its own secluded bay, The Ritz-Carlton, Koh Samui is a luxurious getaway that combines an idyllic oceanfront setting with attentive- levels of service. 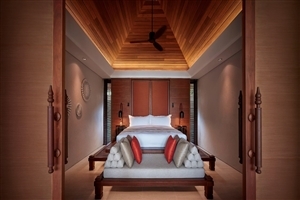 Settle back and relax in one of the 175 plush-filled villas or suites, dine fine at the in-house eateries or spend some time utilising the recreational facilities to get the most out of this Thai oasis. 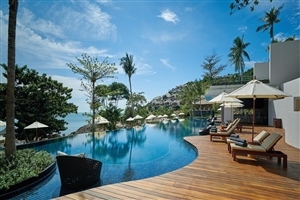 Settle back and relax in the lap of luxury at The Ritz-Carlton, Koh Samui, a warm and welcoming haven tucked away amongst the splendour of its own secluded bay. 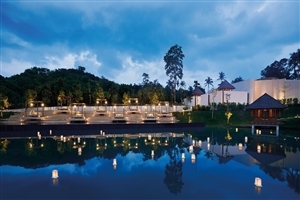 Playing host to 175 elegantly designed accommodations, numerous in-house dining venues and a myriad of facilities, the resort invites travellers to indulge in the sights of the Gulf of Thailand in style. 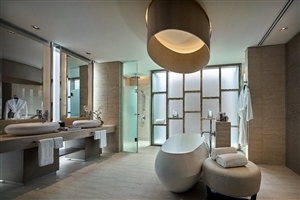 The Ocean View Suite offers guests 93sqm of accommodation space beautifully adorned with modern Thai designs. 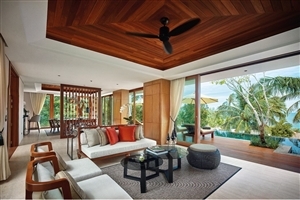 The suite features a spacious living area and showcases sweeping views of the resort and ocean from its private terrace. 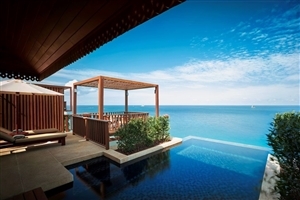 The Ocean View Pool Villa offers guests 97sqm of accommodation space intricately fitted with plenty of plush furnishings and modern amenities throughout. 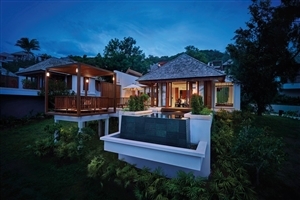 The villa features a spacious living area, a private pool and an oversized terrace that looks out towards the Gulf of Thailand. 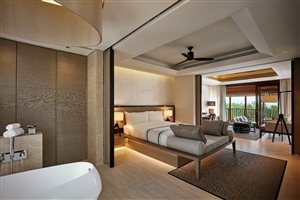 The Ultimate Pool Villa offers guests 97sqm of accommodation space that exudes an abundance of luxury and style from its clifftop location. 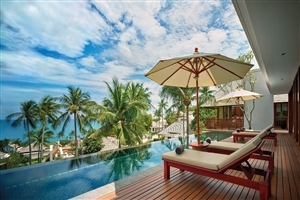 The villa features a spacious living area, a private pool and an oversized terrace boasts of panoramic views of the Gulf of Thailand. The Villa Kasara offers guests 255sqm of accommodation space where comfort and convenience are in no shortage. The villa features a spacious living area, an outdoor area, a private pool and a rooftop terrace that boasts of ocean views. Shook! – Enjoy a combination of Asian and Western dishes at this chic, interactive dining venue. Baan Talat – Revel in the flavours of authentic Thai street food in this market-style setting. 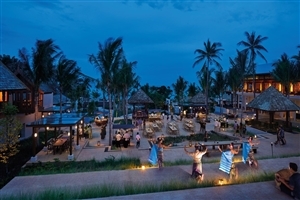 Sea Salt – Savour the tastes of classic Thai favourites at near the resort pool at this casual hideaway. 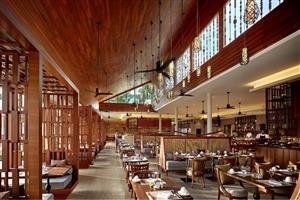 Pak Tai – Choose from a variety of Thai cuisines of a southern interpretation from the privacy of your own dining space. 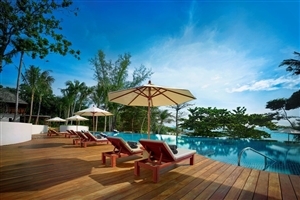 Tides – Ease back at this poolside hotspot with a cool cocktail of your choosing. One Rai – Settle back and relax at this intimate bar with some Asian-inspired light bites and refreshing beverages.